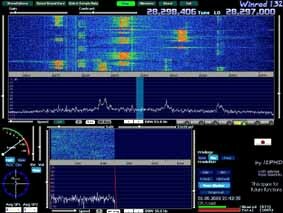 I have started to use SDR on VHF in 2009. 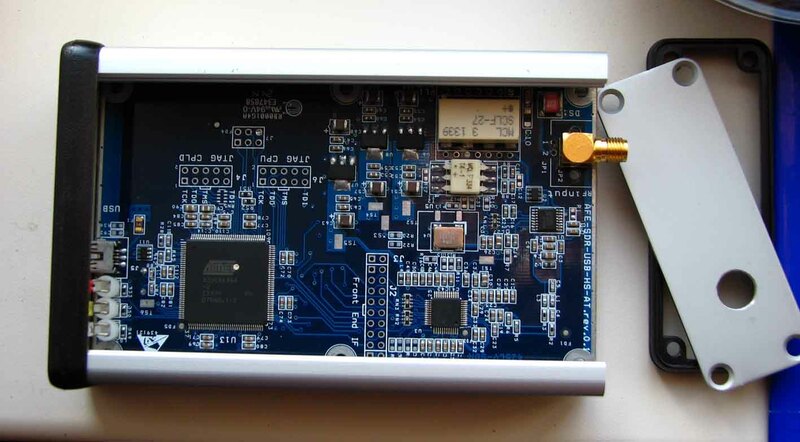 My the first SDR - project was Soft-66ADH. I use them in all my XVTR (144,432,1296,10368 MHz). These are excellent generators with good characteristics. Legendary sound card Creative AWE32. I used it 10 years ago together with DSP program K6STI. Excellent result! But now ISA is rare. 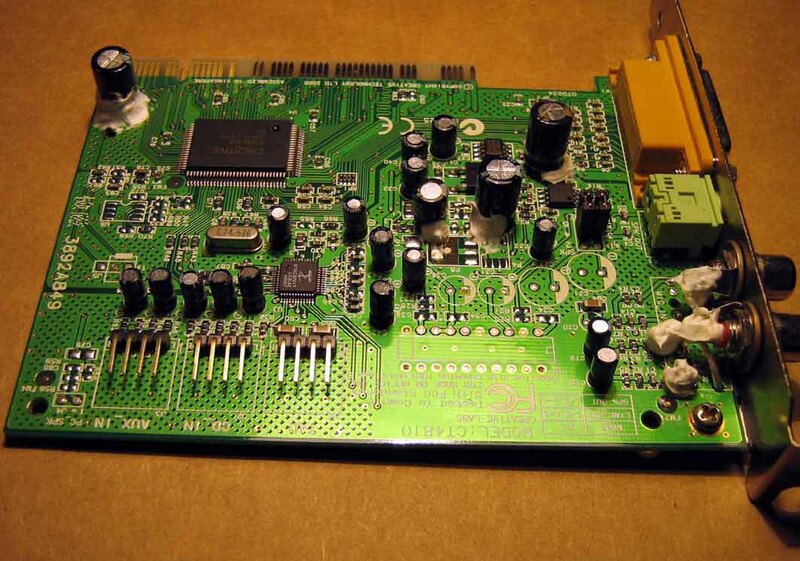 For SDR I have started to use sound card Creative SB Labs. 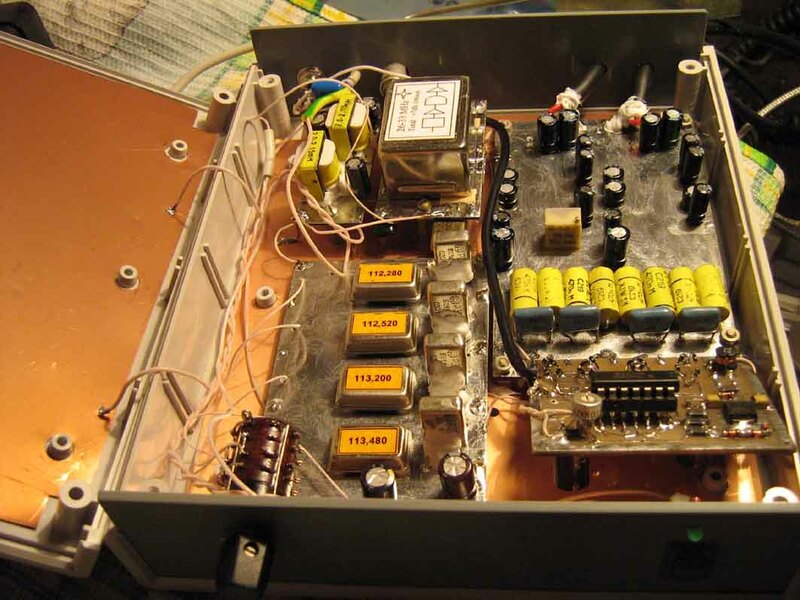 I had to modernise it for stabilisation of transfer of a phase and amplitude I&Q signals. Also i mast set + 1 samples delay for the best suppression of the mirror channel. 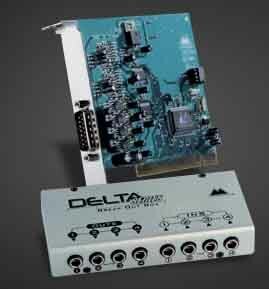 Now I use Delta44 soundcard .You can take a lot of interesting in modification Delta-44 for better perfomance from SM5BSZ Link. 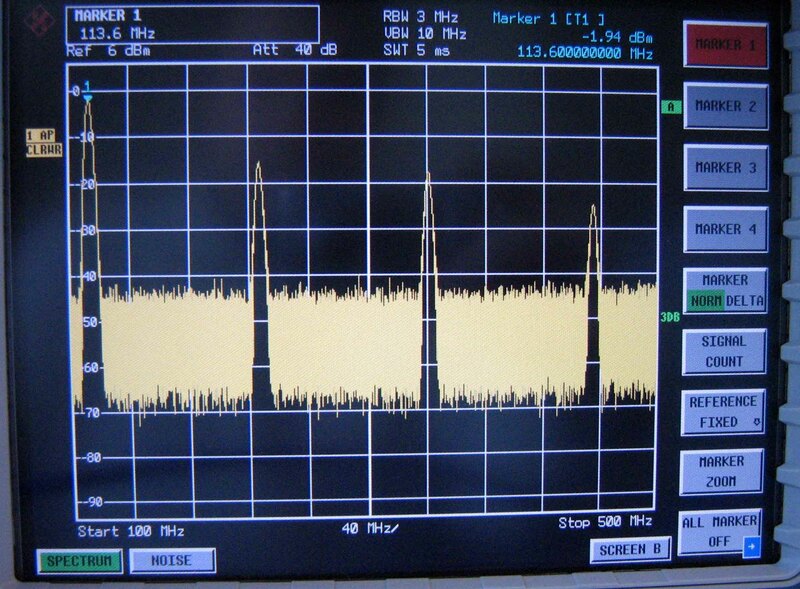 You can see : AC74AC + diode mixer = not best result for good image rejection almost in 28-29 MHz bandwith. I have got suppression about 50-55 dB! 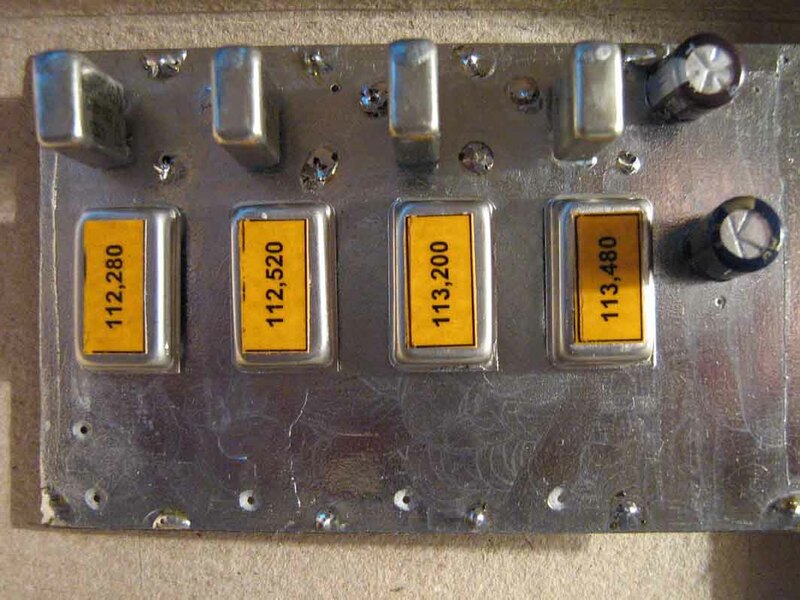 I have increased voltage to 6,5-6,8 V on the phase shifter 74AC74. 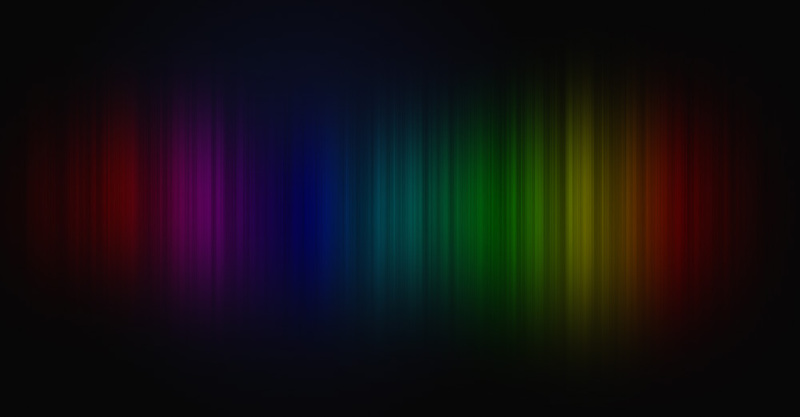 Probably, in the future, I will choose 74AC74 other manufacturer for the best work of the phase shifter. 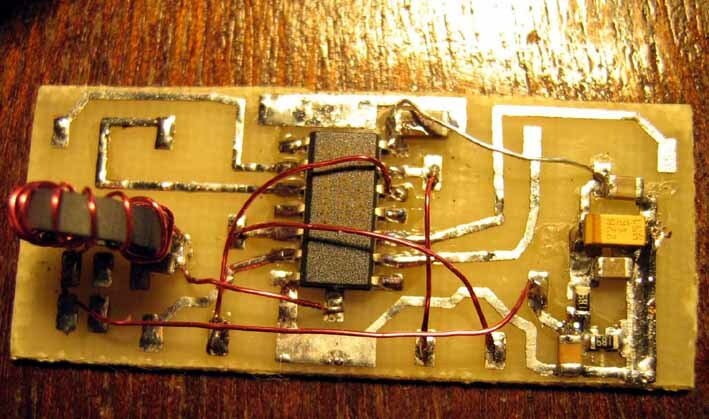 Also it is necessary to apply switches 74LVC4066 to the mixer - will enable image rejection better than 55 dB. 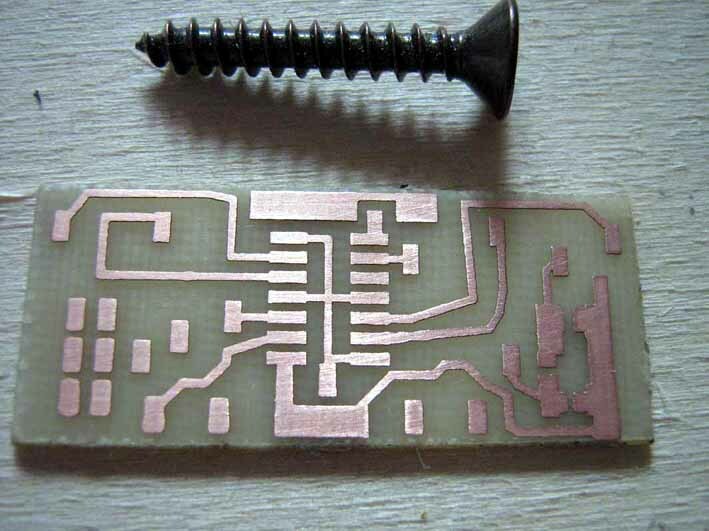 You can see much on this problem and a lot of useful on SDR on a link by Tasa`s (YU1LM ) . 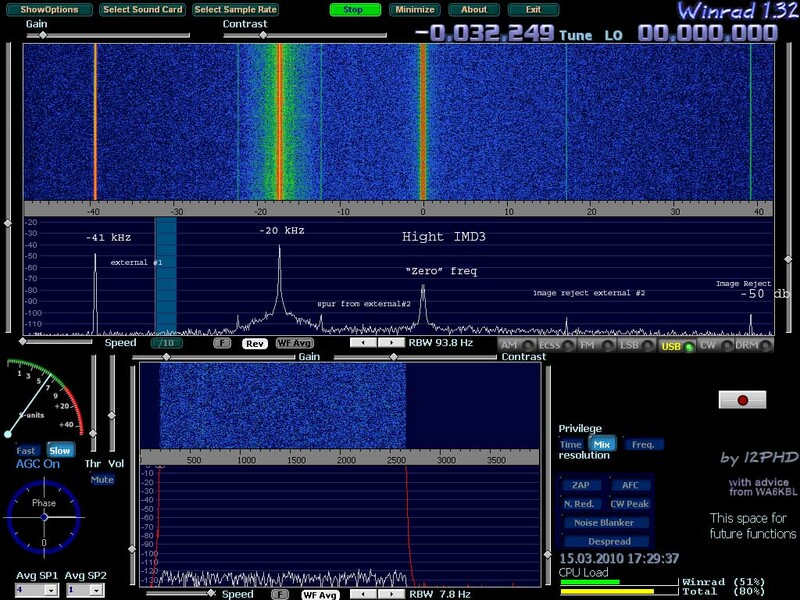 I am happy with work SDR of a panorama 96 kHz - the review of a range and function WinRad impress ! 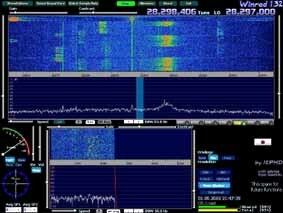 I find it very useful to VHF ! 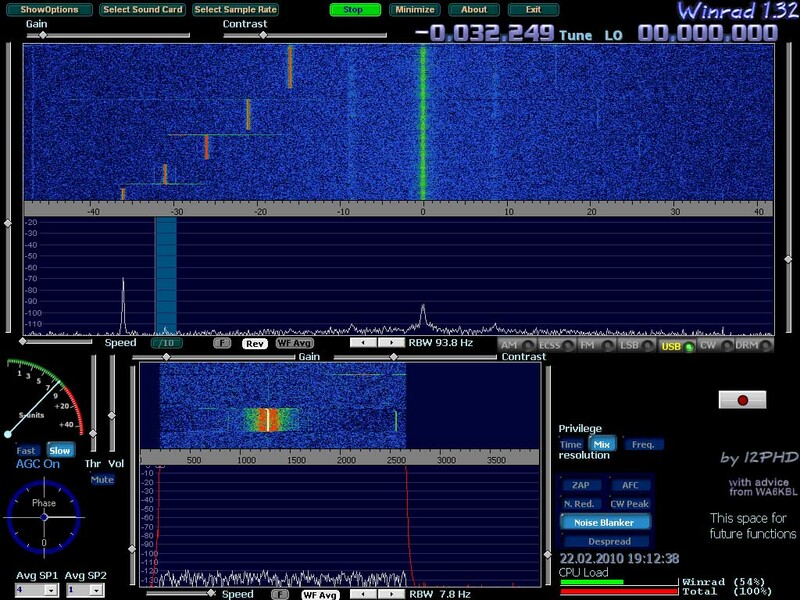 Excellent results of application SDR in ESporadik open 1 june 2010 ! I made a lot measurements on my SDR. Of course it is possible always to do some new measurements, but i see better IP1 (1 dB compression point was 0 dbm) and IP3 performance. 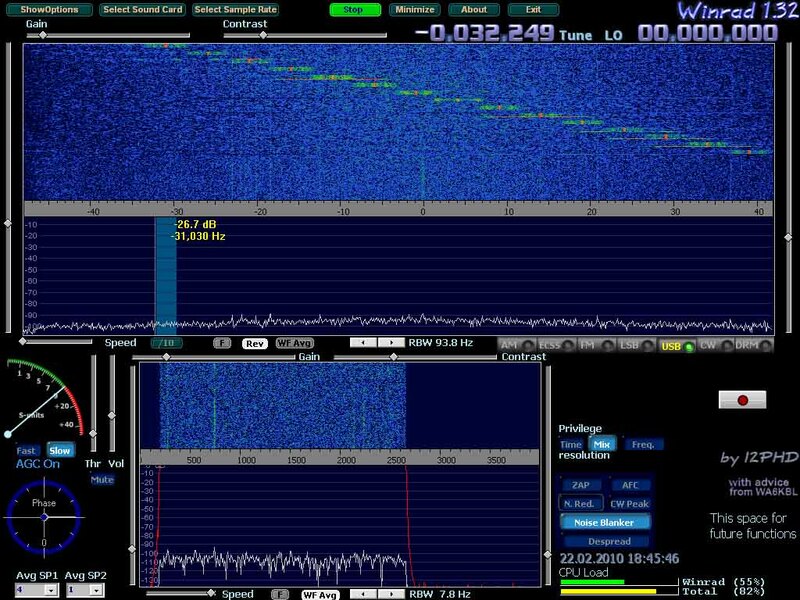 Now image rejection in NOT constant value (about 45-60 db) in all bandwith 96 kHz with set in " Channel Skew Calibration Phase =1,8 degr " in option of WinRad . 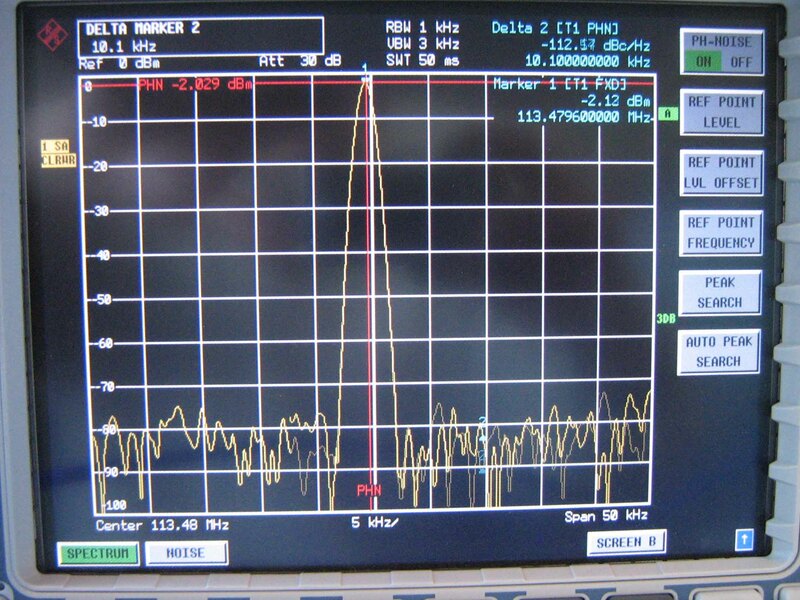 But better performance will let me excellent results for use SDR in VHF band !